You can always make space for a fruit, vegetable and herb area – however small your space. The satisfaction and extra taste you get from home grown produce will be worth the effort required. In the winter it may seem that there is not much you can do while the days are short and the weather is damp and chilly, but if you want to start off your growing year there are plenty of jobs you can make a start on. If you only have pots and containers for growing see my blog recommending the best vegetable choices for them. If you are new to growing your own and would like more advice come along to one of my workshops in the spring. In mild winters weeds continue to grow slowly so make sure you check for and remove them. Rake up any leaves that have fallen on your plot; as they decompose they’ll take nutrients out the soil. You can save these in a separate heap to make leaf mould or bag them up and let them rot down in a corner of your garden. Using manure to mulch a vegetable bed. You need a layer of 5cm or more just laid on top of the soil. You could use well-rotted manure, leaf mould, composted bark chippings, garden compost, or off-the-shelf compost. Manure is best for retaining water in the soil and improving its structure, but compost has more nutrients. For more advice on this see my blog on Mulching. 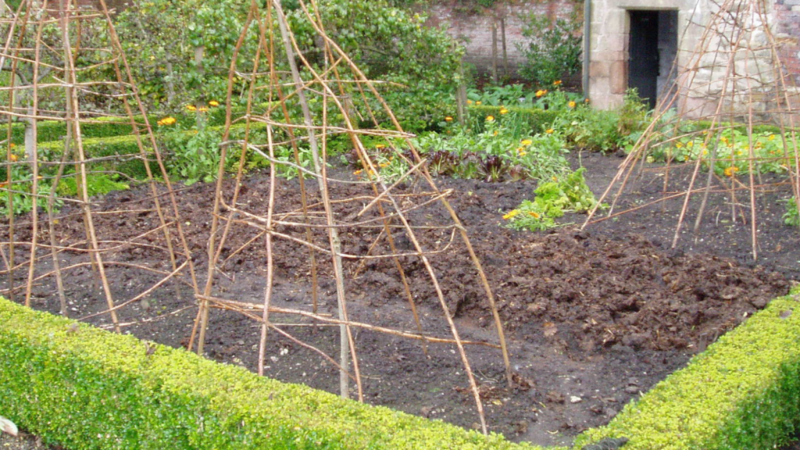 While there’s not much gardening to do you can use your time to check your beds or support structures are in good shape. Make sure you use treated wood outside otherwise it will rot very quickly, but even treated wood has a limited life. Old scaffolding planks are a good option if you can find them. If you are making new beds (raised or flat) check they are no more than 1.2m (4 foot) wide so you can reach over them to plant and weed without stepping on the soil. 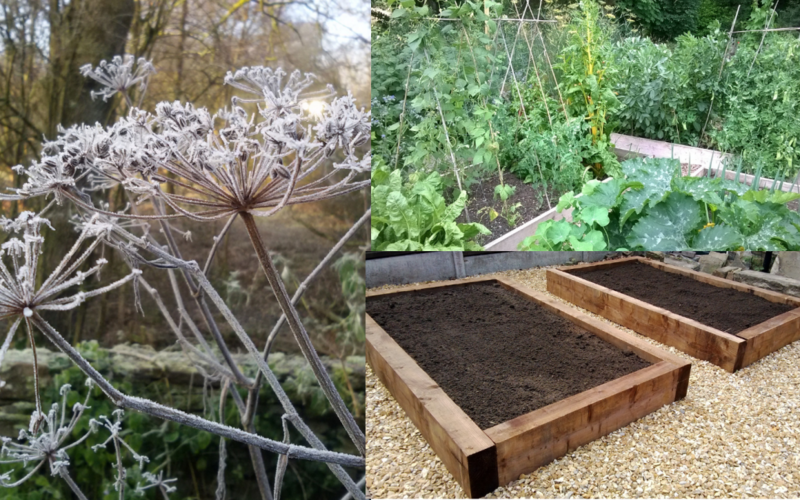 For more information see my blog on building and using raised beds. 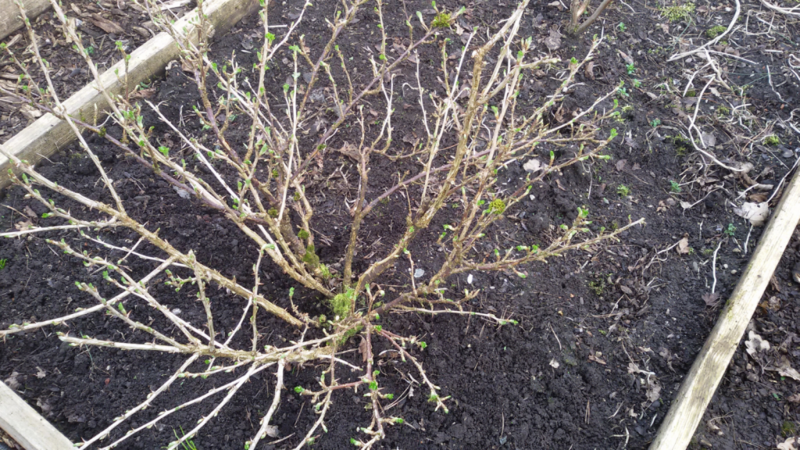 This is the best time of year to plant out your new fruit trees, raspberry canes and currant bushes. Avoid frosty, snowy periods and waterlogged ground, and add plenty of compost in the planting hole, as well as slow-release fertiliser. My favourite mail order supplier is RV Roger based in Pickering, North Yorkshire. This is the fun bit, and it makes you think about springtime and summer sunshine! First, think about what grew well and what grew badly for you last year. If you’ve not grow any crops before, ask around any friends or neighbours who have. Certain crops will favour certain soils and conditions and if you ignore their preferences you’ll give yourself a lot of work to do and/or produce poor crops. So make your life easy and your crops abundant by doing some reflecting and research and picking fruit and vegetables that will like growing on your plot. Another important factor is do you like to eat them? Don’t grow lots of crops that you can’t eat, there will be plenty out there that will suit your taste. Finally, think about how much time you’ve got to care for your plot and don’t pick demanding crops if you haven’t got time to pamper them. For easy-to-grow vegetable choices see my blog. The main brands of seed suppliers also have great information on their websites about each vegetable/fruit and their requirements so check there if you don’t have any local information or speak to local seed growers. If you’ve chosen your crops order/buy your seeds. If you have a local seed grower and supplier please use them, as their seeds will grow well in your area. They are probably lying around where you left them months ago, so give them some TLC. Give them a thorough clean and sharpen any than need it then oil those that aren’t stainless steel. Buy new tools buy from mid-range brands as the cheapest may not last you very long. Use your tools for the purpose they are designed for and they will last longer – spades used as crowbars will soon have a broken shaft – buy a crowbar instead! Once you start seed sowing and planting you’ll be busy, so check your supplies and equipment now. Make sure you have labels, pots, trays, seed compost, netting, watering equipment etc. Fertiliser is important and there are a lot out there to choose from. I would recommend chicken manure pellets; you only need a small amount spread on your plot 2 weeks before planting or seed sowing to start your plants off. Once they are growing you can use a liquid seaweed feed for any plants that need extra fertiliser. If you have a lot of different seeds and plants to grow it’s best to check what times they need to be sown and write down a schedule for yourself. But always take notice of the actual weather conditions this year. It is a waste of time planting seeds into waterlogged, cold soils just because the packet says ‘March’, as they will just rot! So wait for better conditions and warmer soil if you have a cold or late spring. 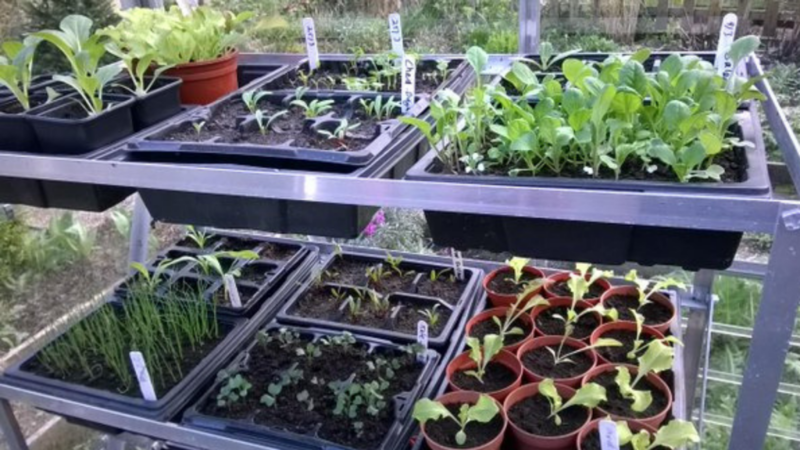 Tidy up and clean your growing equipment, greenhouse or polytunnel to create the best hygienic conditions for your new seedlings and plants. A good organic disinfectant that won’t harm plants or animals is Citrox, which is available in larger garden centres or online. It is also good for cleaning out water butts and any bird tables, bird boxes and tools. If you are new to growing your own produce and would like more advice come along to one of my workshops in the spring.